Three High Peak Tent ensure that this gorgeous white party tent rental will wow your guests! 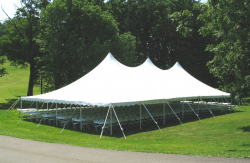 This extra large 40×80 Wedding Tent rental adds beauty, grace, and awe to any outdoor event. Looking like something you would find on the lawn at Buckingham Palace, this gigantic party tent rental is a stunning sight. With three center poles and corresponding peaks, this tent is sturdy and majestic. Charlotte Party Rentals prides ourselves on providing quality event rentals to make your next shindig go off without a hitch. Our technicians will deliver this tent and set it up for you to the highest safety standards so you don’t have to worry about anything other than enjoying your big day. 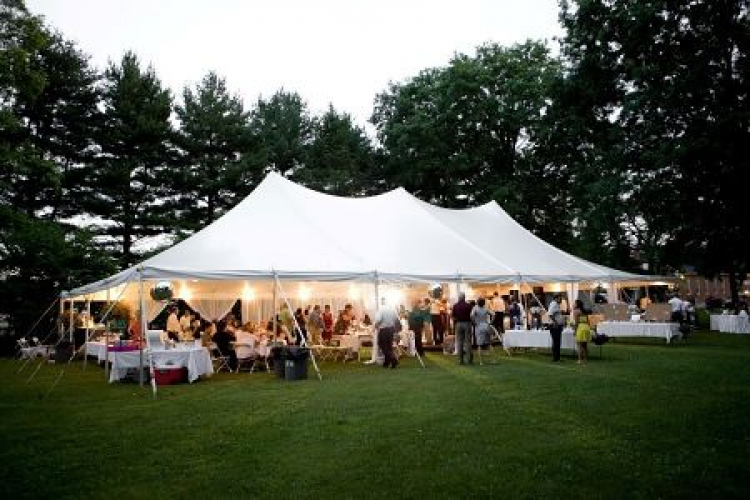 A 40×80 party tent rental can comfortably seat about 550 guests in a church-row style seating, or between 300-400 guests with round table rentals or banquet tables. Space Measurement: 3,200 sq. ft.